I love online book chats. I love the flexibility and the range of thinking that happens when you read with people who are in different teaching situations, etc. And I love the flexibility of reading and discussing at my own pace. I joined #NCTEreads last month. #NCTEreads is an ongoing month-long chat on Facebook and Twitter. 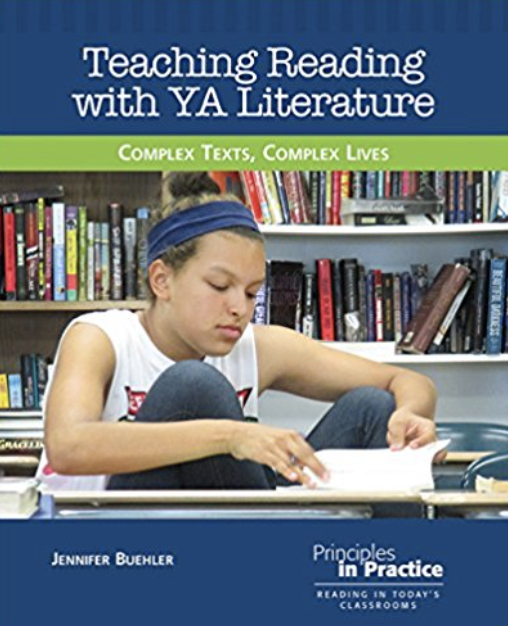 I was a bit worried about joining as the book, Teaching Reading with YA Literature: Complex Texts, Complex Lives, was not at all my area of expertise or work. As a reader, I love YA lit--no question. However, I wondered if I would have anything to contribute or whether I'd be able to connect with the conversation since I teach 3rd grade. But I know the book and I know author Jennifer Buehler (@ProfBuehler) is brilliant so I decided to join. I'm sooooo glad I did! 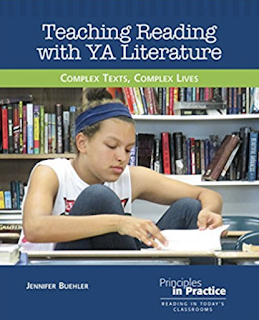 Although the book focuses on YA pedagogy, there are so many threads that cross age and grade. So much got me thinking in new ways about my role in the classroom. It helped me think about the bigger goals we have for students, and to think about books in new ways. Not only that, but the Facebook group was full of fun events. A podcast with the author was shared and there were live events with YA authors! I was able to attend one of the live events with author Deborah Heiligman. What a great event. It was a conversation between Jennifer and Deborah about her newest book, Vincent and Theo which sounds fabulous. It was recently named the Boston Globe-Horn Book Nonfiction Award winner and it's already received several starred reviews! It was a great chat and I was so happy to be able to watch it live on Facebook! Toward the end of the month, #NCTECHAT will continue this conversation about YA Literature on June 25. 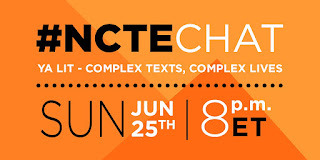 #NCTECHAT is a monthly one-hour chat on Twitter. I am excited to learn more and to get new things to think about. One of the things I am loving about #NCTECHATs is that I keep learning new things and meeting new people. I've been brave enough to join chats that are not my area of interest or expertise and every time I find brilliant people who push my thinking. The first #NCTEreads has been such a great experience for me. I've read a great book, met great people, heard from a new author, and I have so much more to think about. Loved the experience! I agree that being able to have discussions and learn will people from all over the country is one of the best aspects of this type of learning. I'm enjoying this book immensely, and learning so much, too!